In a recent post I covered the reasons small business owners should consider choosing accrual/GAAP over cash accounting. In that post, I noted that there are times and places for cash accounting. And, because startups and smaller businesses (including many inDinero customers) can choose either method, I wanted to discuss the use-cases for cash a bit more. Before jumping into the pros and cons of both accrual and cash accounting, I want to emphasize a very important point: The major deciding factor between these two accounting methods is timing. Accrual accounting recognizes transactional value at the time it is earned, spent, or performed (regardless of whether you’ve actually received payment or not) and the cash method only reflects transactions at the time payment is actually received or made (i.e., appears in your account or is deducted from your account). If a client pays you in advance, cash accounting allows you to account for those funds on your income statement at the time they are received instead of waiting until you actually earn them. This method also provides a lot of creative freedom to manipulate what you have in the bank to fit your own style and context at any given time, so it’s easier for tracking internally. However, just because your custom reporting works for you, doesn’t mean it makes sense to everyone else, including the IRS and potential investors. This is a big reason why public companies and larger businesses are not allowed to use cash accounting at all. A small business’ chosen accounting method can have a big effect on its profitability. This is an important consideration when it comes to taxes—the more profitable you are, the more taxes you pay. A small business that can make spending choices to lower its net profit also lowers its taxable income as well as its tax obligations. To avoid appearing profitable, companies that use the cash method can stock up on assets for the future all at once. For example, you could pay your office space lease for all of 2016 in December 2015. This way, you can account for the expense immediately and appear to have a lower profit margin in 2015. While this may sound a bit dodgy, it’s an entirely legal strategic decision that can help a business set itself up for future success in some cases. Tax strategies like this are part of why the IRS doesn't allow companies that hold inventory from using cash accounting. Those companies could easily remain unprofitable simply by buying more inventory in bulk! 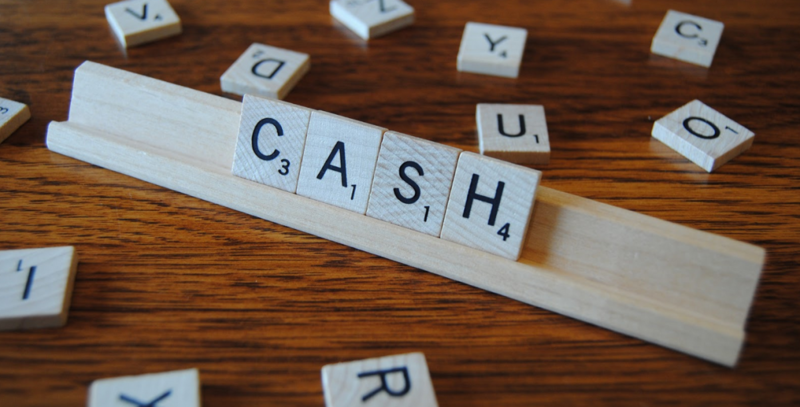 Aside from that, there are many bigger complexities associated with inventory accounting that would make using the cash method a never ending headache. Individuals, sole proprietors, and small business owners (of S Corporations) must have less than $5 million in average annual sales over the last three years. Small business entities (S Corporations and C Corporations) must have less than $10 million in average annual sales over the last three years. Individuals and freelancers: The cash method is a great option for personal businesses, independent contractors, and other self-employed workers. At this stage, there are typically few complexities and a low enough volume that your accounting is specialized and straightforward enough to use a combination of fairly inexpensive online banking and tax tools. Family-owned farms: Farms that are owned and operated by a family entity can use the cash method for accounting and tax purposes above the typical sales test revenue, up to $25 million per year. This is a special exception from the IRS, but it comes with its own stipulations. While family farmers are able to file taxes using cash beyond the typical amount, they cannot make the same deductions as other types of farms might each year. For example, they cannot deduct costs of livestock, grains for resale, and other farming commodities. Small service businesses (and qualified personal service corporations): Lawyers, therapists, consultants, real estate agents, accountants, and other service-related professionals and small group entities usually do not sell a product, just their time, so they tend to have simple accounting requirements. Usually these businesses are run as sole proprietorships (and privately held companies with one owner or a small group of partners) until they reach the IRS’s sales test threshold. What if the Cash Method Isn’t Right for Your Small Business Accounting? As you can see, the list of businesses that can acceptably use the cash method is limited. Most businesses see immediate and long-term benefits to choosing accrual method, especially if their goal is to grow. Eventually, companies that grow are required to switch to GAAP, which is much easier if you’re already using accrual. It's cheaper, too—switching from cash to accrual means that your CPA will have to file extra forms and charge you for more work. If you're planning on switching to accrual eventually, it's probably cheaper to adopt it at the outset. The most important thing before taking the dive into an accounting method is to educate yourself on your options and what will make sense for your company. Our team has expertise in cash accounting, accrual accounting, and GAAP compliance, so we can help you no matter what stage your business is in, even if you’re facing the trials and tribulations of audits and back taxes. Want more information on cash, accrual, and GAAP accounting? This guide explains the details that make the biggest differences for business owners.